Following the lead of Felicity from Gifts of Serendipity, I've managed to squeeze two books out of this month (well, to be entirely honest, I've cheated and started in the end of January (February is too short, even with one extra day!!!!). 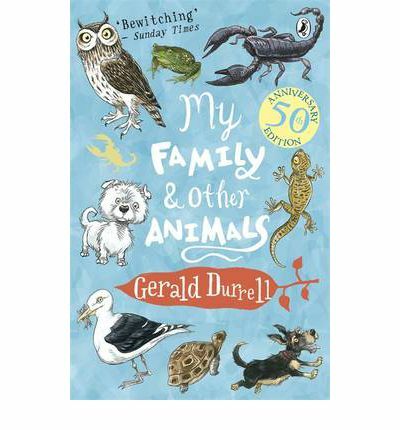 The first book is Gerald Durrell's My Family and Other Animals. I read some of his other books (too) many years ago, in my teens, but My Family and Other Animals I knew as a screen adaptation (a lovely one!). The book is hilarious, I have to say at once, and that chaotic family of his is simply marvellous (my favourite is Larry, with his sarcastic jokes and observations). But it turned out a bittersweet reading for me. Bittersweet, because re-reading novels from my youth always evoke mixed feeling in me, you realize with a bang, how much you've actually CHANGED. Bittersweet, as it surfaces the memories of things, places, people I most probably will never see again. Perhaps, not reality for many people, but for me, yes. Reading about the colourful Corfu, its scents and flavours made me feel the smell of eucalyptuses once again and remember that night of full moon, that made the streets look almost as it was daytime, only they were deserted and still (on a less romantic side, I was having a pretty bad toothache then, otherwise I would have slept soundly through all that beauty). These days are gone and remain only in memories and some bits and pieces in pictures. Bittersweet, as not many will understand this, this „melancholy of my own“. I am mostly surrounded by people who were born and raised in one and the same place. They have their childhood friends close to them. They can gossip about old school friends (as they have all the information, who got married to whom and all that). They can make it into a tradition to meet at a certain time of the year at a certain place and keep it for 20 years. They can see their friends (and themselves, too) getting older. Well, that was perhaps not the most advantageous part of it, and in fact I'm feeling less melancholy already. Boring? For me, no. It's just a matter of standpoint, after all. My childhood was very different, cut in two by three years in another country, another continent, and was followed by quite some moving around in my adult life. I don't find that predictable life of other people boring, even though I would never want to change the past. Matter of standpoint, after all. 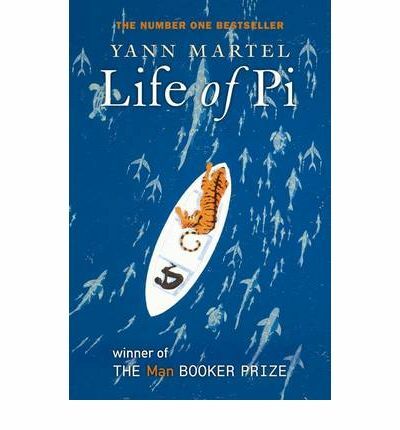 Which brings me to the second book, full of animals as well – Yann Martel's Life of Pi. I read it some years ago, and could vaguely remember the plot. The end was immersed in darkness, the only light glimmering in my brain was that the end was brilliant. It was, indeed, as I realized after having finished the book for the second time. I will not spoil your pleasure now by telling you about the end, you have to go and read for yourself (and don't skip the rest of the book!). Let me just tell you that there is a lonely boy, a life boat bobbing on the waves of the Pacific and a menagerie, out of which remains only a Bengal tiger, when the rescue finally takes place (the boy lives, too, to tell the story). What I loved about this novel is it's main topic behind a thrilling plot – what is fiction, telling stories? How much is actually just imagination of the teller in every story being told? Should we call it straightforward lying or is it, after all, art? These all are questions without a direct answer. If it does exist, then literature will simply die. Ohh absolutely one of my favourite books, our copy of My Family and Other Animals is so old and battered but it keeps on going. I haven't read the life of Pi I shall look out for it thank you for the tip! J. You've really held true to the 'Vive Le Livre!' motto Anna as each of these books and much more has come alive with this fabulous review. Several people have recommended that I read 'My Family & Other Animals' and after reading your 'take' on it, I'm keen to begin...just a couple of title in line first. As for "Life of Pi", I haven't read it but have an audio recording on CD which I used to play on long trips to and from work. I'm thinking that I need to dig it out again and have a relisten, maybe download to my ipod for bedtime stories. Actually we both have a tiger connection this month, perhaps you would like to read "The Tiger's Wife"? Your image of your bedroom in Corfu was so beautifully written I felt like I was there...on that note, I'm off to sleep myself! PS: I've left a little tutorial on the post to help you add the 'Vive Le Livre!' 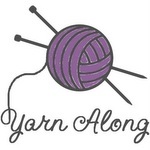 button to your sidebar. Thank you,I will check out the tut! BTW, the bedroom was not on Corfu at all, it was in Africa, but the weather is pretty similar :) Sorry for confusion!